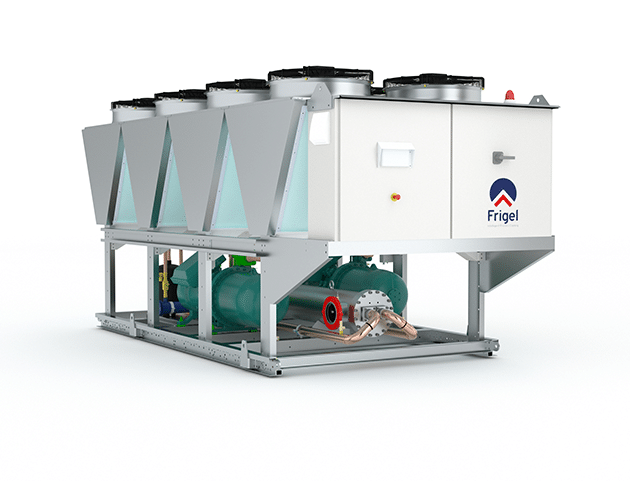 Air-cooled Heavygel central industrial chillers provide maximum cooling performance without the need for a condenser water source. These compact, precise central industrial chillers are an increasingly popular, highly economical choice for processors who do not have a separate water system for condenser cooling and who need only one water temperature supply to process. 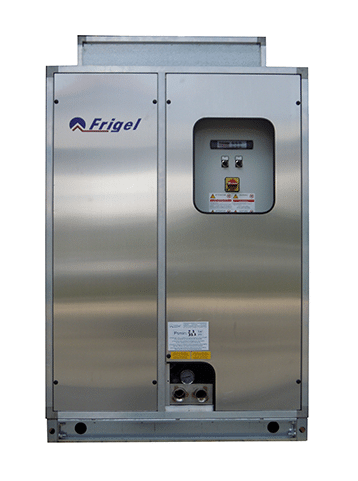 With a wide range of configurations, Our Heavygel central industrial chillers bring you the best results possible, including industry-leading Energy Efficiency Ratings (EER). Cooling capacities 10kW – 1400kW. Operating temperatures: -5°C to 25°C (Max ambient 43°C). Oversized heat exchangers provide industry leading EERs. Multiple fan selections determined by operating and ambient temperatures.